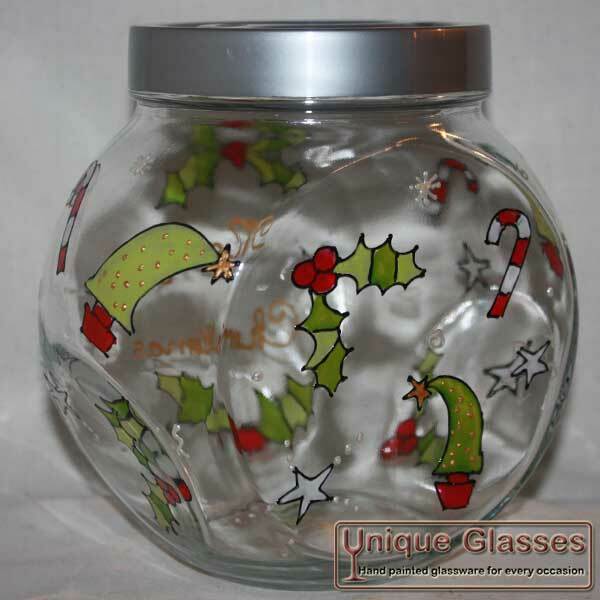 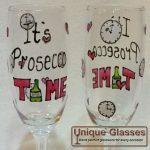 From wine glass to beer glass, champagne glasses to cocktail glasses, cookie jars to flower vases. 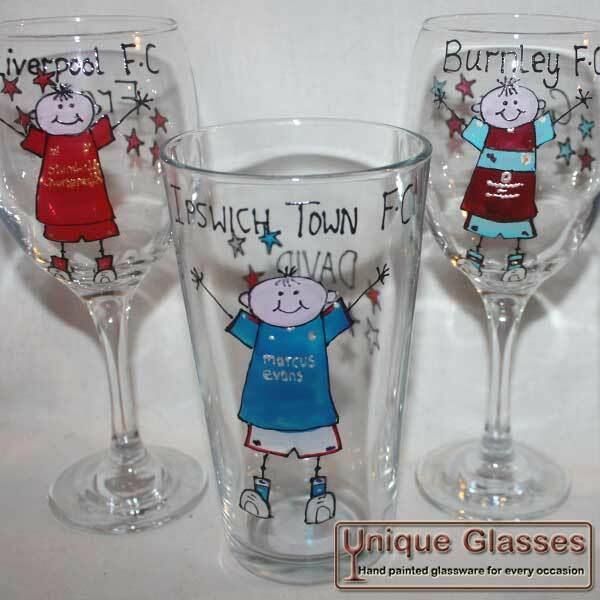 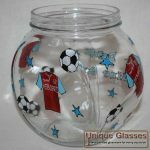 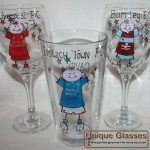 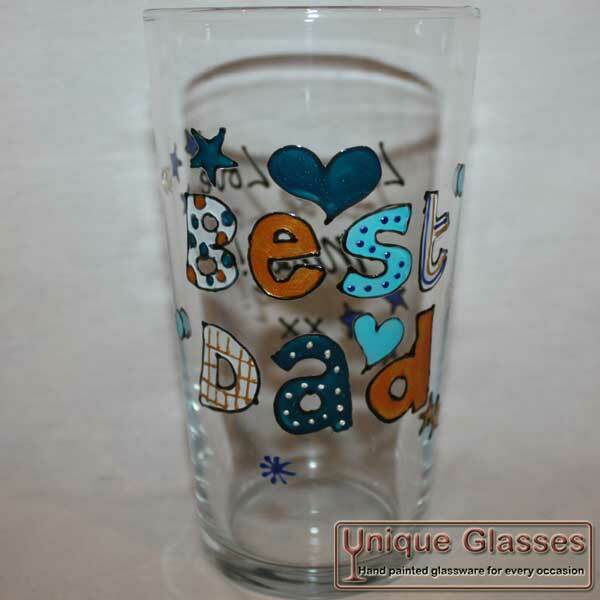 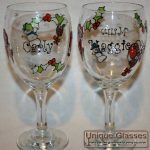 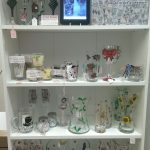 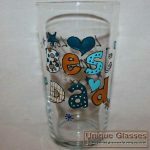 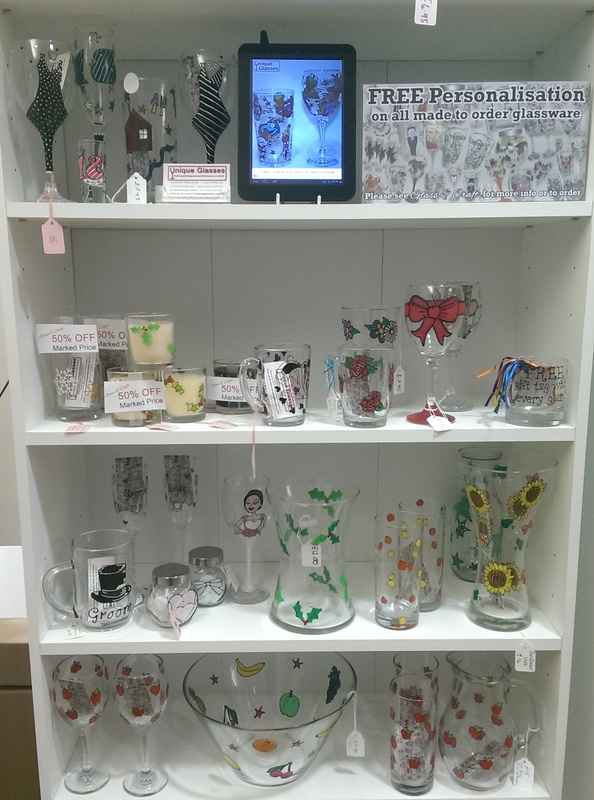 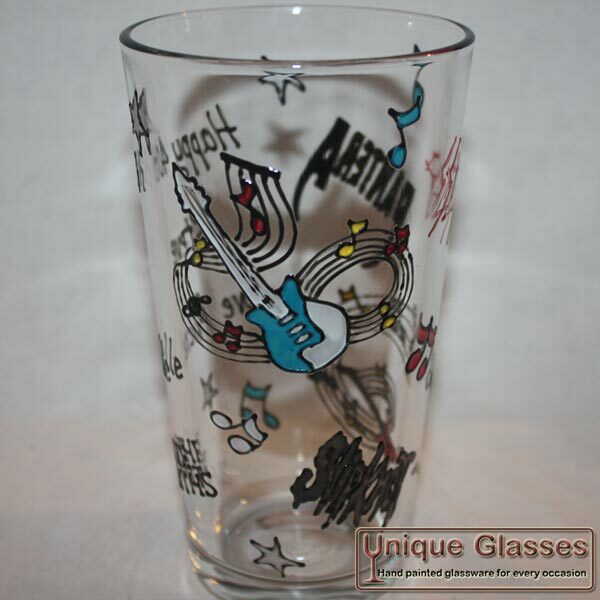 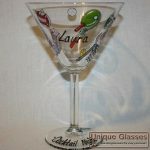 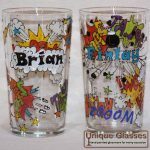 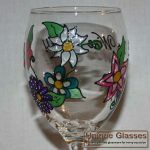 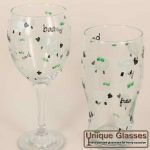 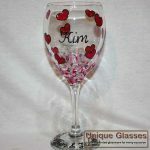 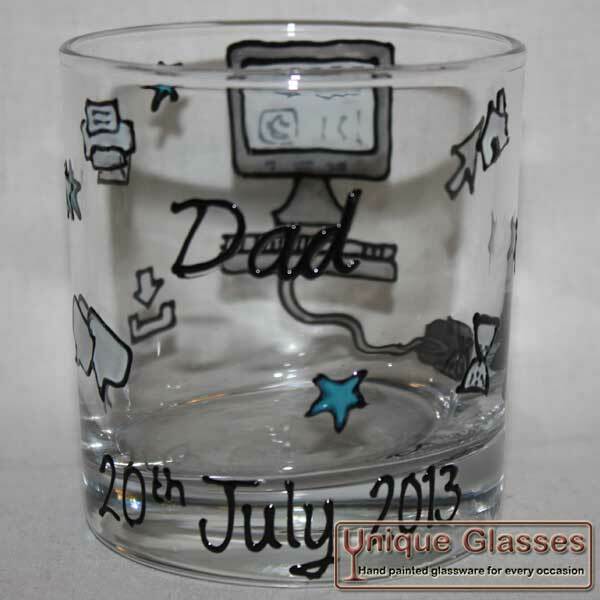 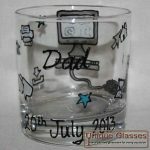 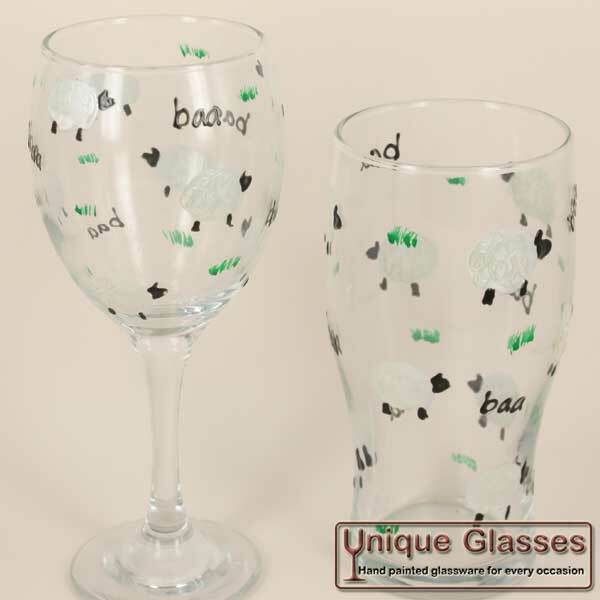 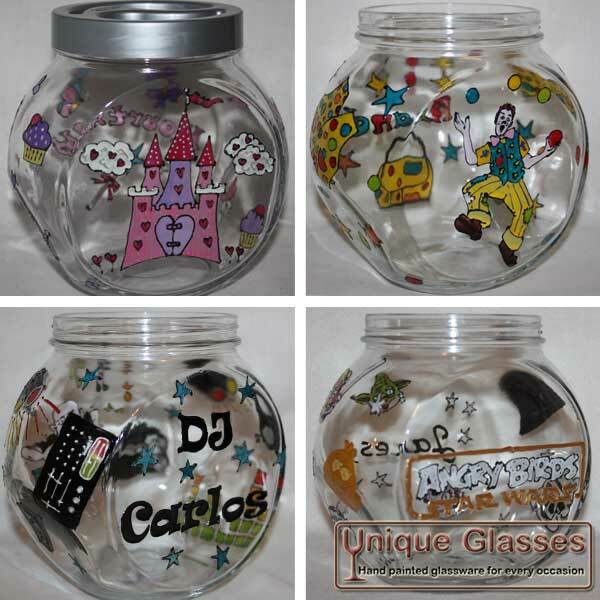 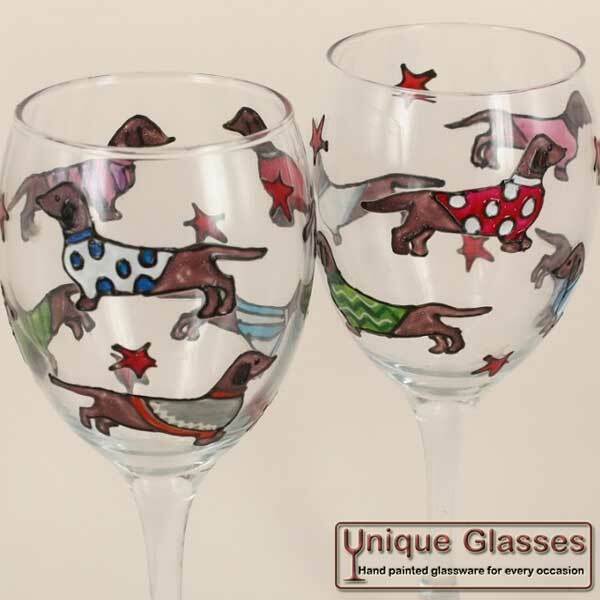 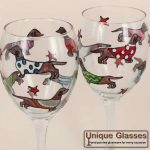 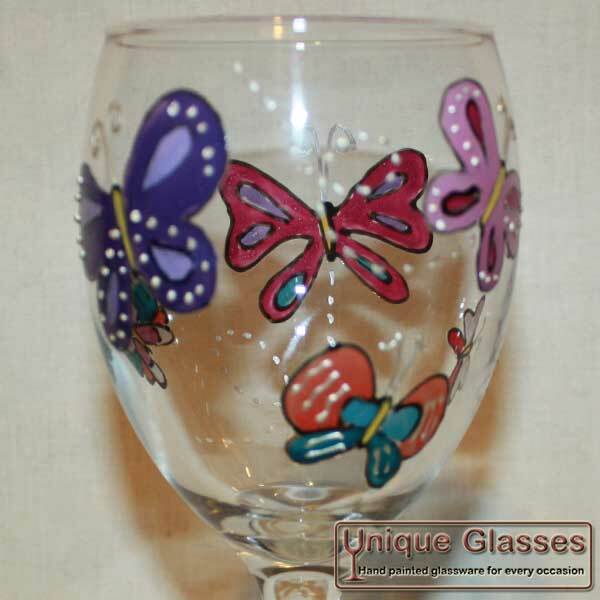 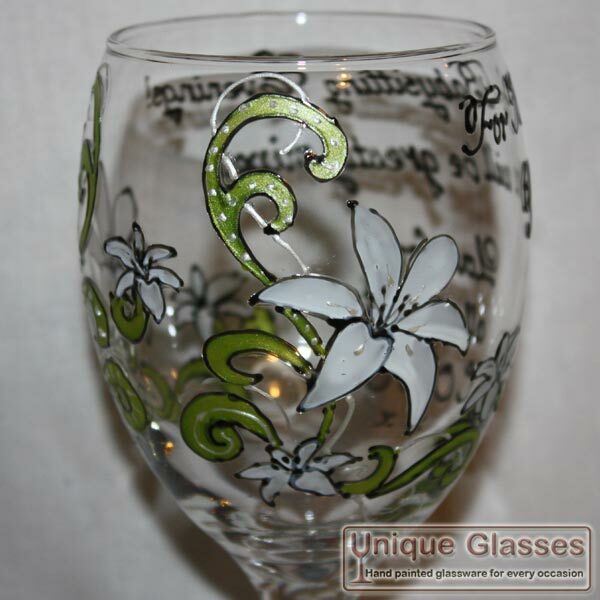 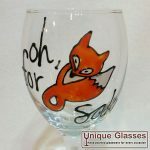 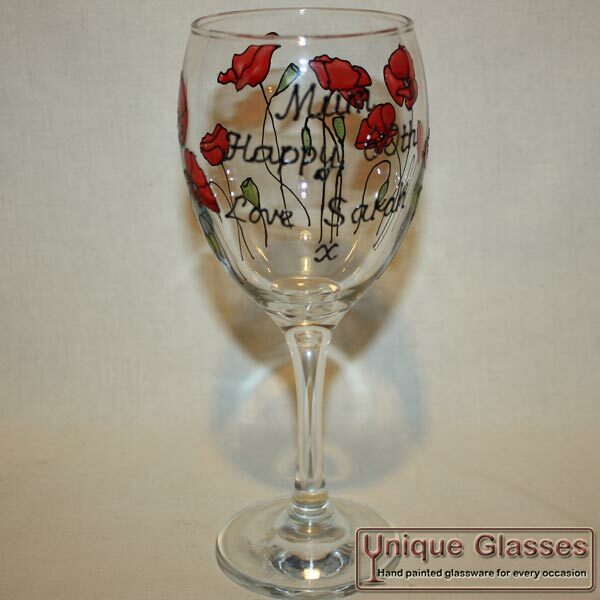 Local glass painting artist Stacy Foster hand paints a wide range of personalised glassware to suit all occasions and budgets. 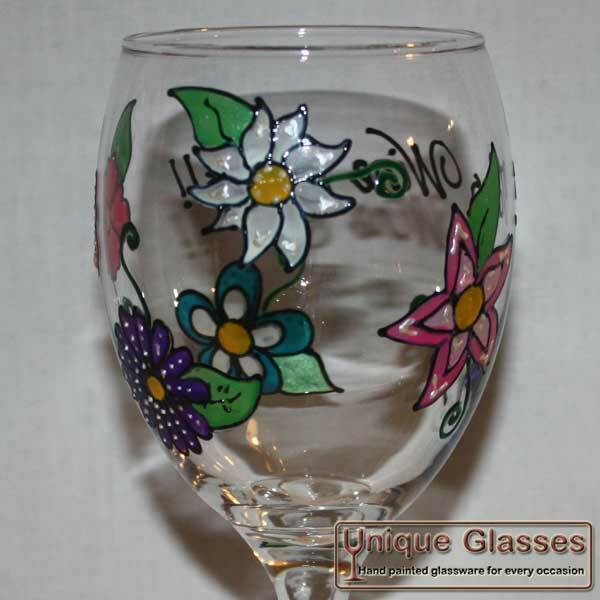 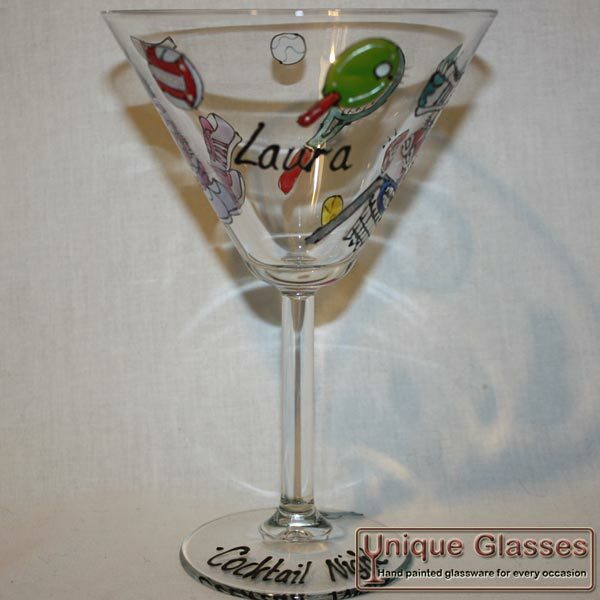 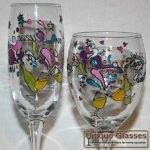 Stacy first started painting glassware back in 2009 for her own wedding. 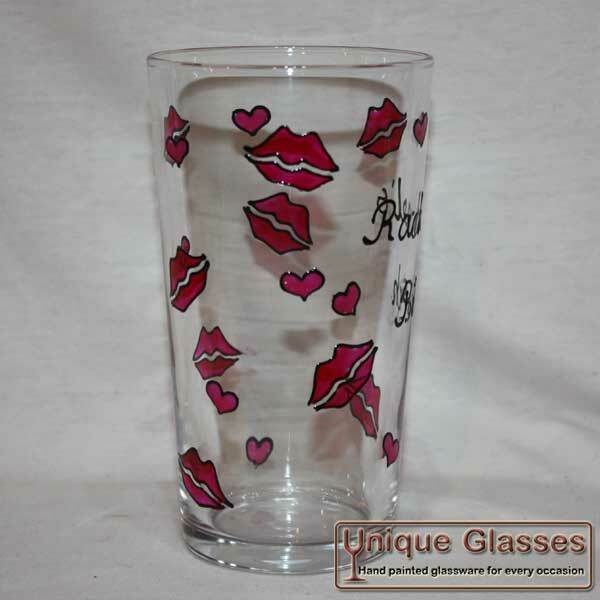 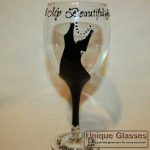 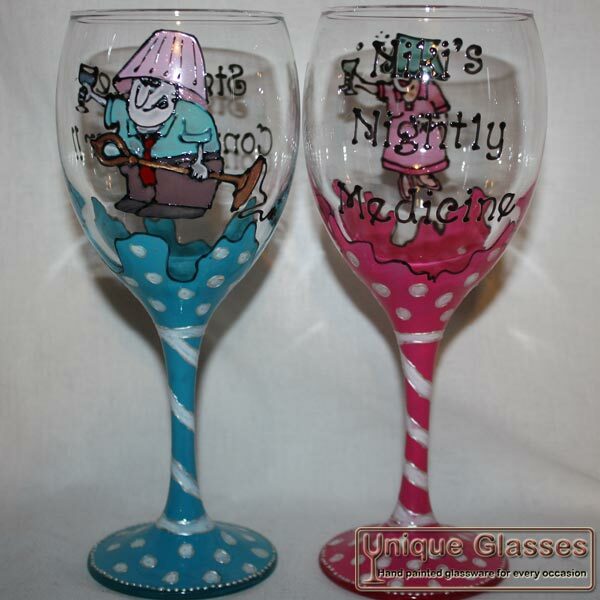 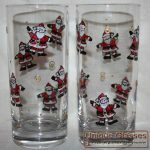 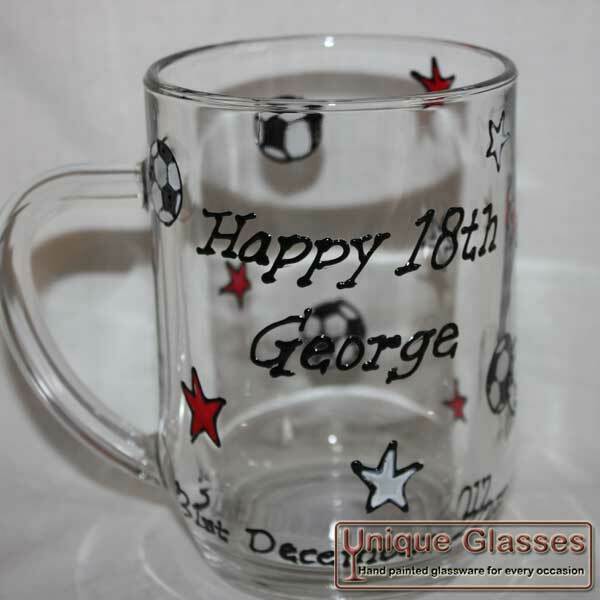 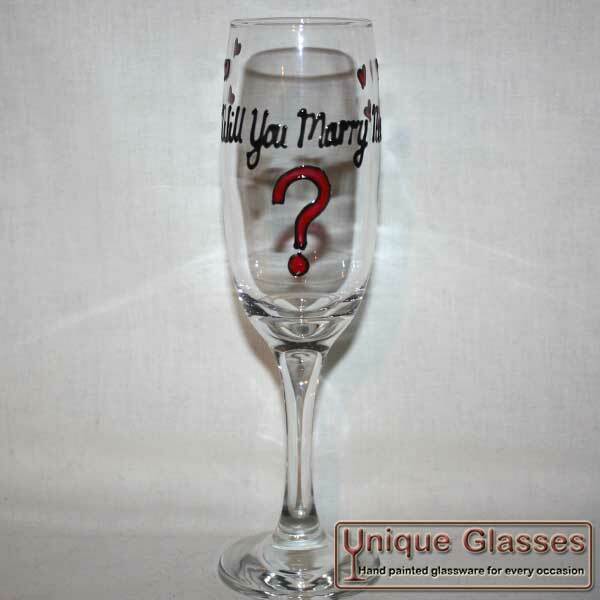 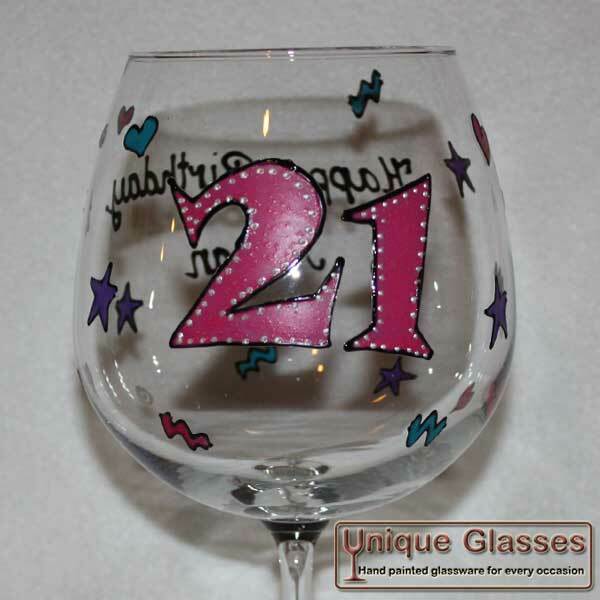 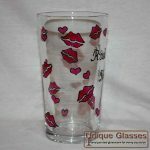 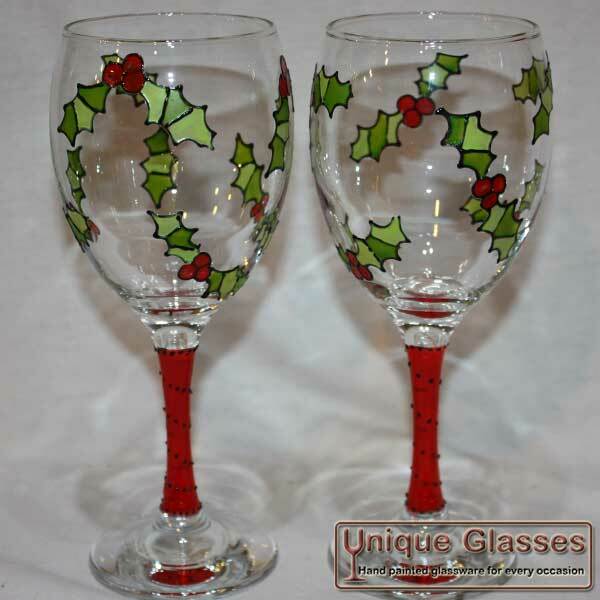 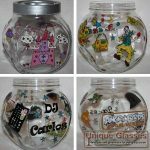 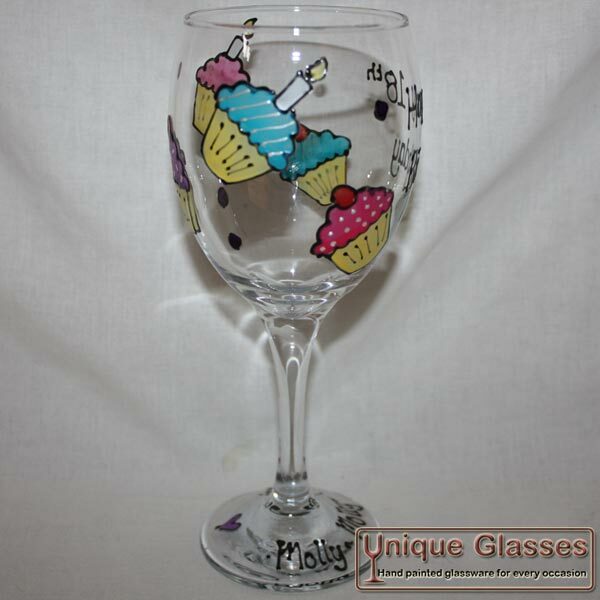 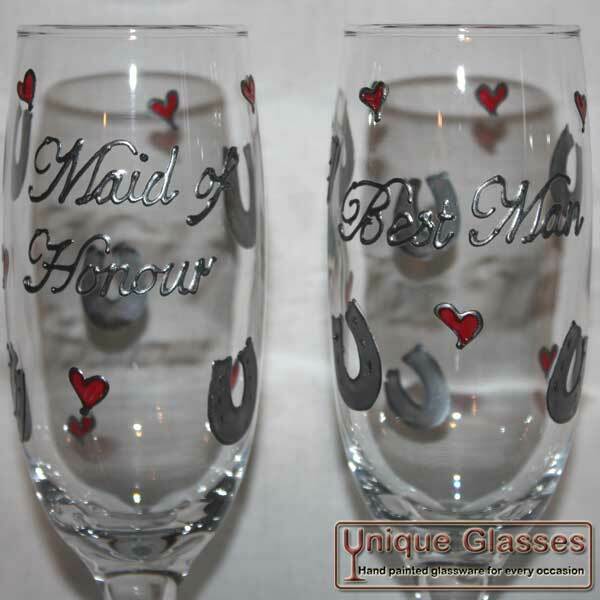 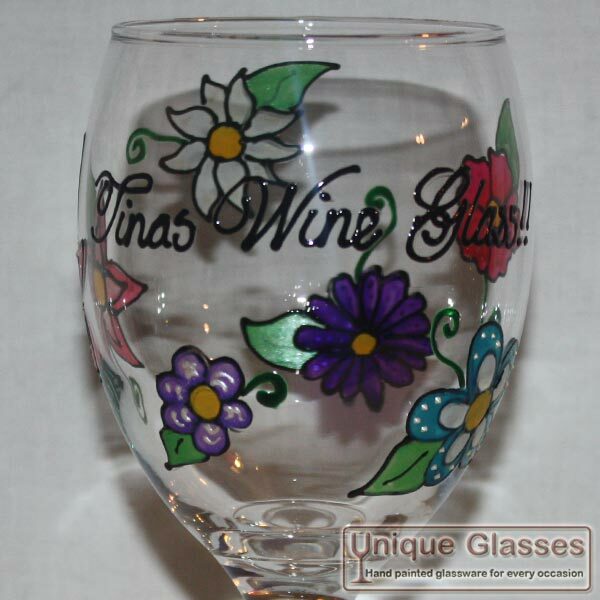 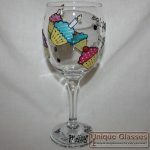 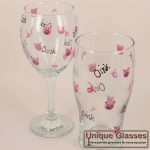 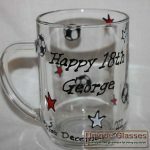 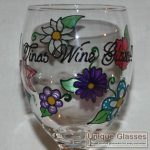 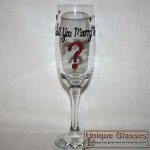 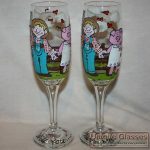 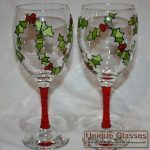 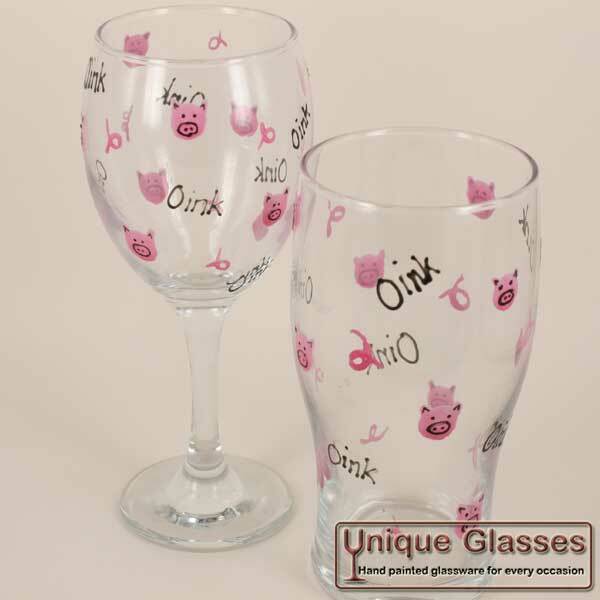 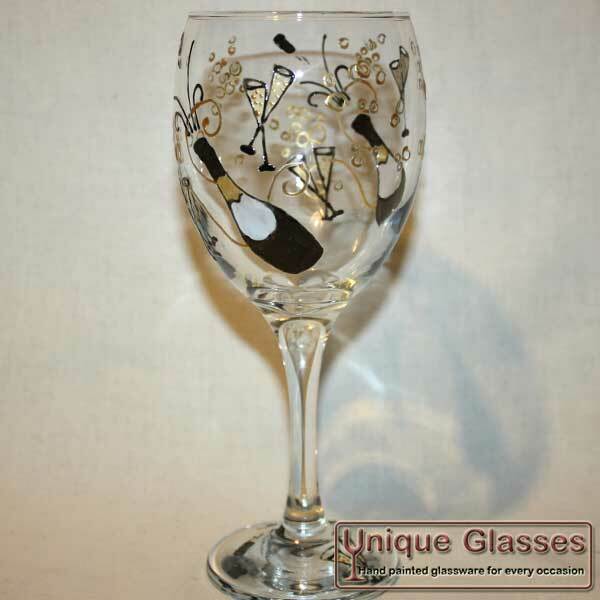 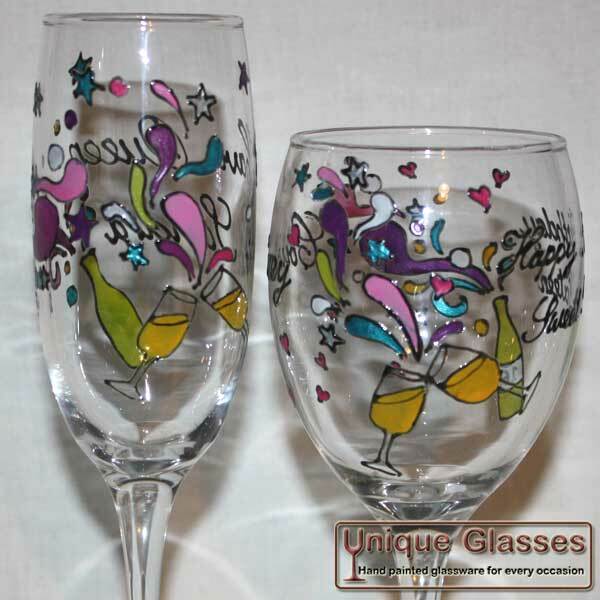 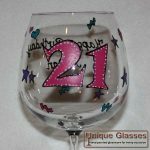 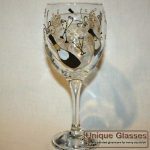 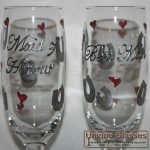 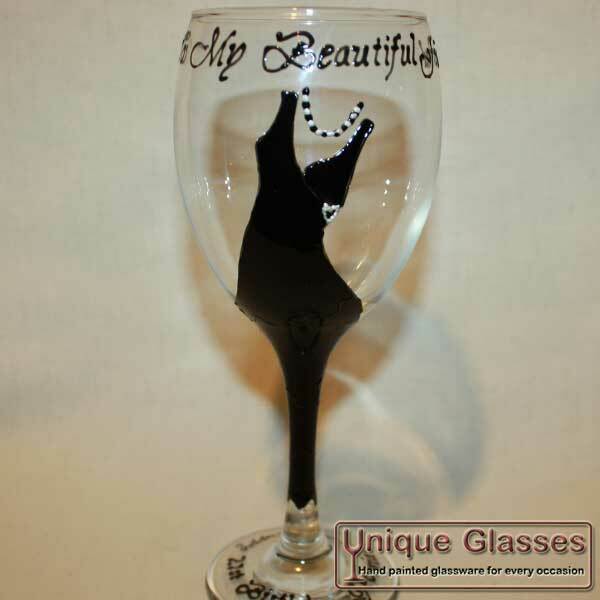 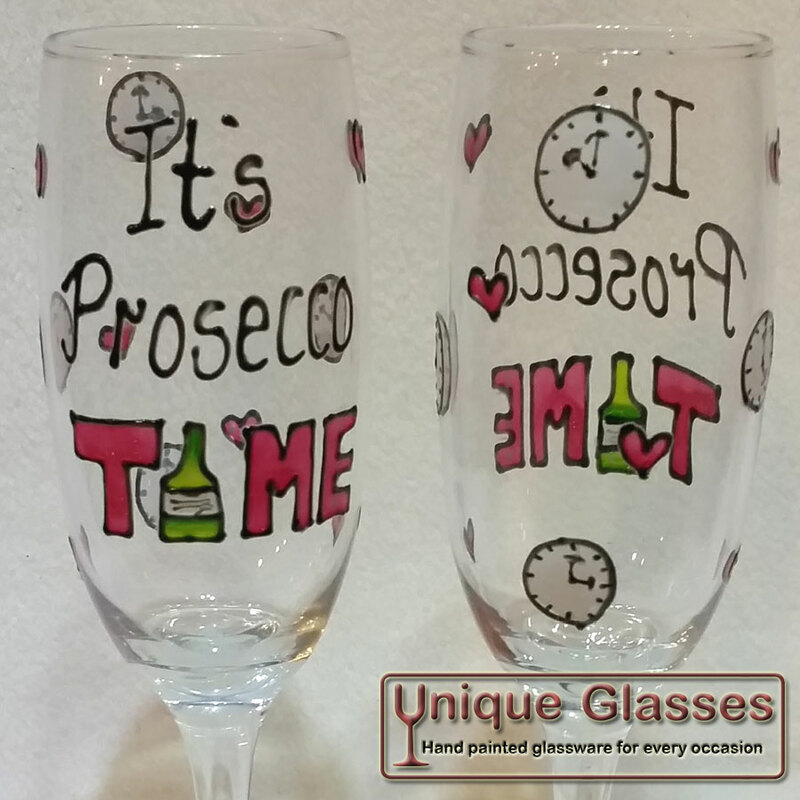 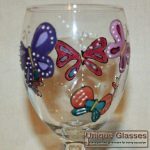 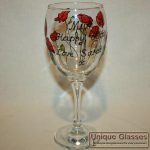 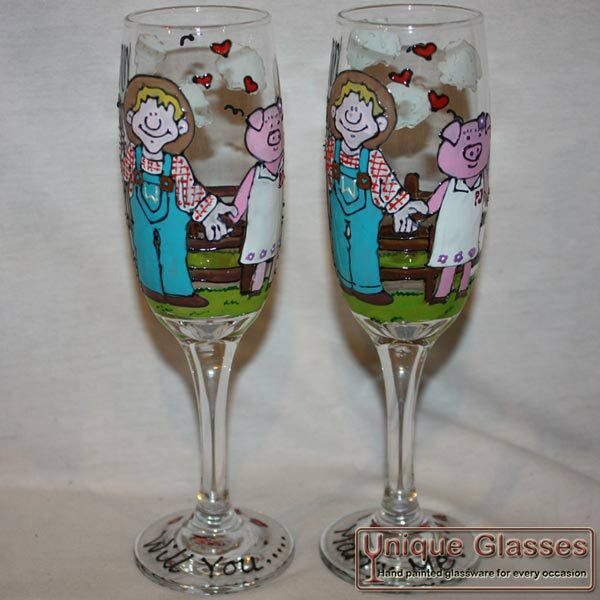 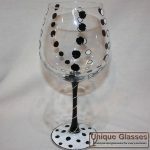 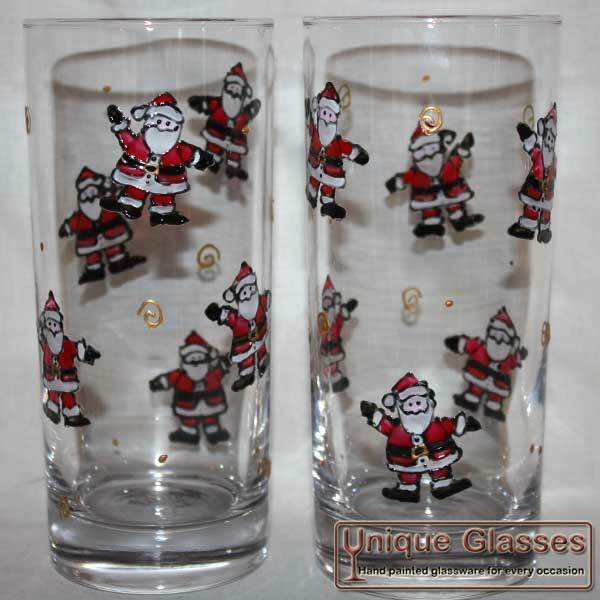 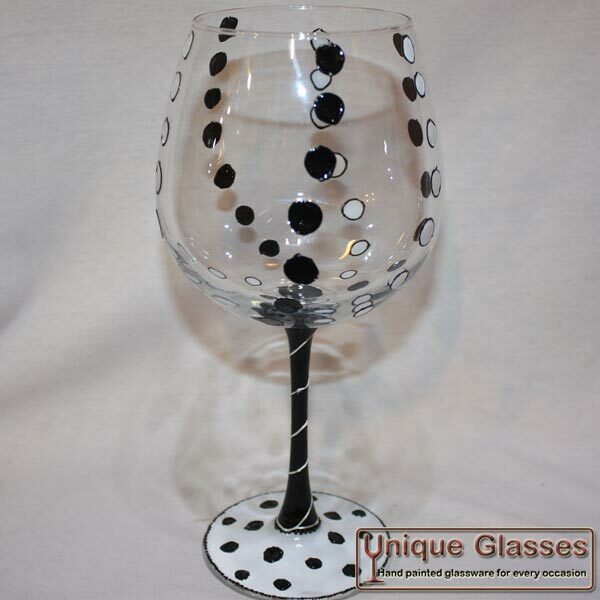 From then Unique Glasses was born and offers designs for weddings, birthdays, anniversaries and much much more! 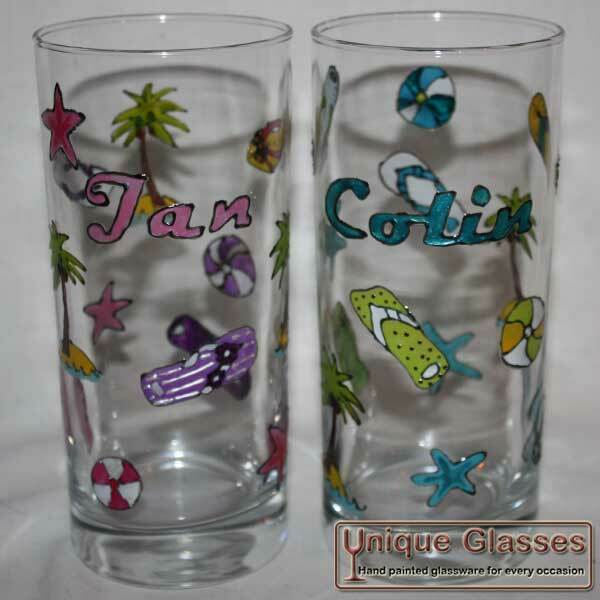 Stacy also offers a full bespoke custom design service. 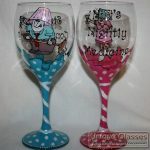 You come up with the idea and Stacy will paint it! 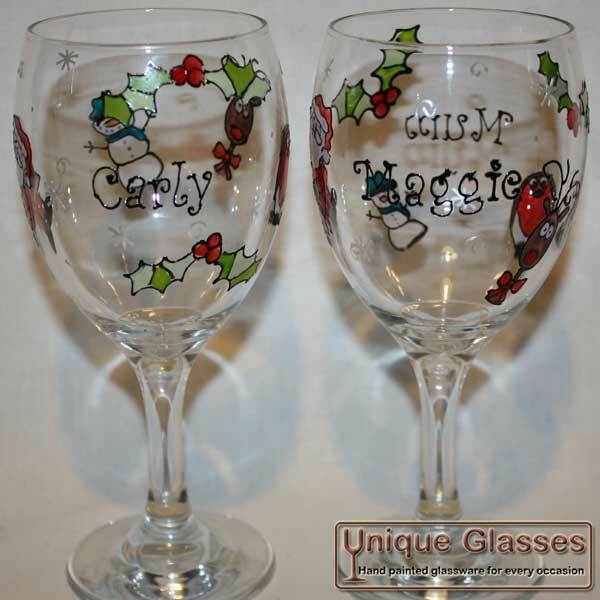 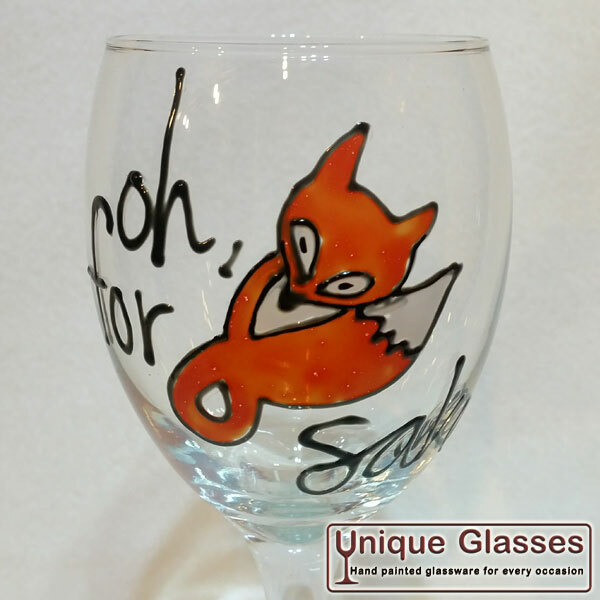 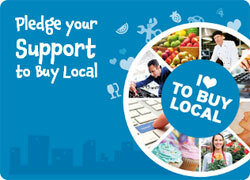 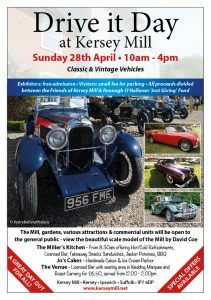 Orders can be placed in store at Glass & Craft or on her website.